The Aberfield team has worked with some of the world’s best-known brands and global business organisations across a broad range of sectors. Below you'll find a selection of some of the well-known brands and organisations we've worked with over the years. Our extensive PR, social media and events experience spans a broad range of sectors, including food & drink, retail, travel & tourism, sports & leisure, property, construction, transport, manufacturing, public sector and not-for-profit. We just love the opportunity to use our PR and brand communications expertise and experience to make a positive and tangible difference. We like nothing better than to look back at a successful campaign that's made a measurable difference and think “Yeah, we helped do that”. So this is where you can find out a little more about our experience. You can also read a selection of recent campaigns. For more case studies, or for more information on the clients we’ve worked with and the audiences we’ve influenced, please give us a call on 0113 8800 444 or use the form to contact us. At Aberfield you have access to what is probably the North's most experienced crisis communications team, having handled situations ranging from rail crashes and food contaminations, to industrial action and corporate fraud. A crisis can hit at any time, from any direction. It could be a life-threatening accident, but in our ‘connected’ society it could just as easily start from a tweet, or a comment on a blog. And once it takes hold, the speed at which a crisis can build momentum is frightening. If you don’t handle it properly, it can significantly impact your reputation – and maybe your entire business – in a matter of hours. At Aberfield, we've a team of crisis management experts who, over the past 20 years, have managed internal and external communications in crisis situations for many high-profile organisations. We can’t always stop a crisis from occurring, but with the right preparation and communications handling we can prevent it escalating and avoid it having a negative impact on your reputation and your business. Our expertise covers pre-crisis planning, the control and management of communications during a crisis and – just as importantly – the post-crisis review phase. For more information about our crisis communications support, or to brief us in complete confidence, please contact Phil Reed or Tim Downs on 0113 8800 444. We run bespoke courses for individuals and small groups to help them improve their media or presenting skills. Our media training workshops are ideal for people who need to brush up on their interview skills, or who need more intensive support ahead of a major announcement or to deal with a crisis situation. The workshops – which can include TV and radio production support – are led by former journalists who’ve been on both sides of the microphone. They know how the media reacts to a story and the questions reporters will ask. And they also have substantial PR experience, with hundreds of interviews under their belts, so they know just how to handle those questions. They’ve trained hundreds of company spokespeople from around the UK, and they’ll use that extensive experience and expertise to arm you with the skills and confidence needed for any media situation. We also provide presentation training workshops for small groups or on a one-to-one basis. There will be lots of opportunities to practice a speech or a presentation to camera, and each one will be recorded and evaluated by our expert coaches. We analyse the content, structure, delivery and presenting style. So whether it’s to fine-tune presenting techniques for an important conference, seminar or sales meeting, or to rehearse a script ahead of a company video, we’ll help make the presentation more inspiring – and positively influence your audience. Events are a fantastic way to communicate with, and influence, your audience but they can be difficult to get right. Our team has a wealth of experience organising events for some of the world’s best known brands, across a range of sectors. Our audience-focused approach to events will help you to build relationships with your existing customers, new customers or stakeholders by doing what we do best – positively influencing your audience. We have delivered numerous PR, media and internal comms events and our events team – led by Chloë Matthbury – has worked on roadshows, awards dinners, product launches and incentive trips in the UK and across Europe. Combining our events and PR expertise, we can maximise the impact your event has on your audience, the engagement with your brand and the relationship you have with your stakeholders. The Aberfield team has events experience across a range of sectors, including automotive, food and drink, public sector, not-for-profit and sports. 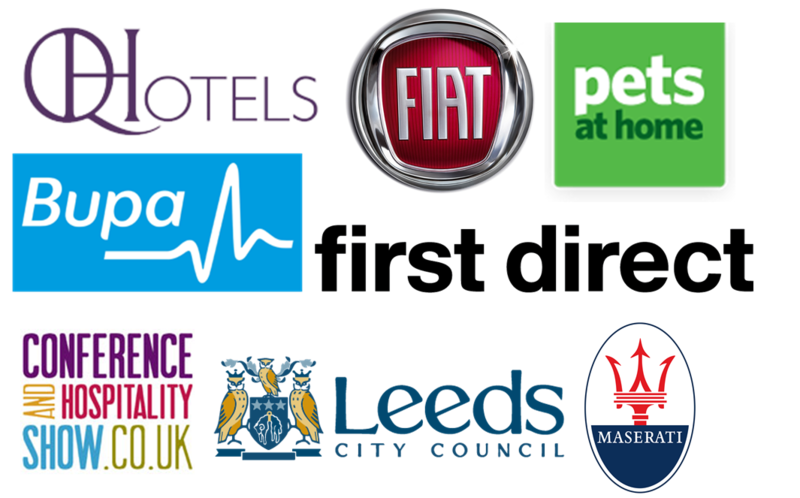 Below you’ll find a selection of some of the brands and organisations that the team has managed events for.